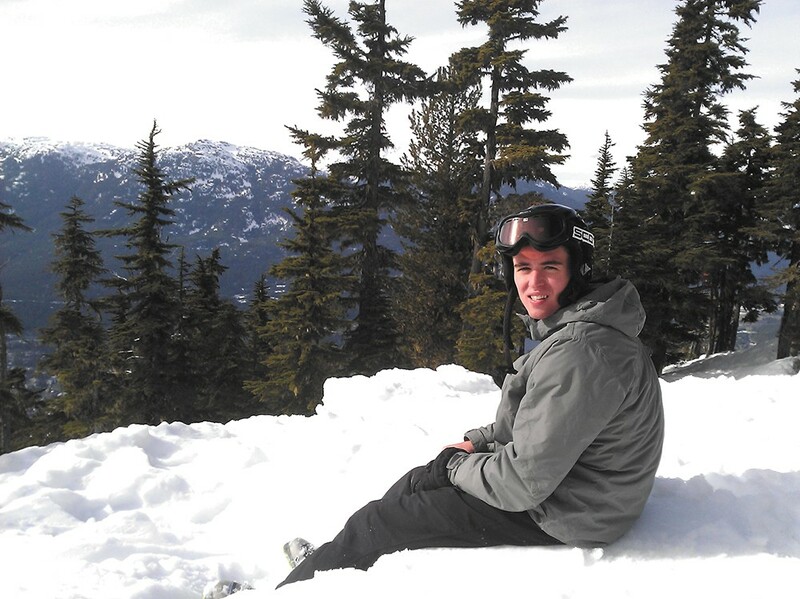 After an EWU student's fatal overdose, should colleges change the way they view drug abuse? Corey Lee, 20, overdosed in his EWU dorm room the day before Thanksgiving. Cathi and David Lee thought their son, Corey, was on his way home for Thanksgiving. Then they got a phone call: Corey had been found unresponsive in his dorm at Eastern Washington University. Cathi called the hospital and heard from the doctors that Corey had cocaine and Xanax in his system. They said her son had been moved to the Intensive Care Unit. They said they were doing everything they could to save him. They said to get to the hospital as soon as possible. David and Cathi drove through the night, at least five hours over the mountains on Interstate 90, until they reached Deaconess Hospital, where their son lay in a coma. Until he died about two weeks later on Dec. 8, they stayed by his side. Their son was 20. Corey had struggled with drug addiction since high school. At home in Everett, his parents were always there to make sure he got help. When he left home for EWU, his parents trusted that he wanted to quit using drugs and turn his life around. But the difference between oversight from parents at home and from the university system while living in a dorm can be a vast one, and when he started using drugs again, nobody was there to see their son was in danger. Corey started drinking alcohol his freshman year of high school. He moved on to pot, then to prescription drugs. "Anything he could get his hands on," his father says. Oxycontin was his drug of choice. He once told his parents he had used just about every other drug out there. Throughout high school and into community college, his parents sent him to several outpatient drug treatment programs. He talked them out of sending him to an inpatient program, but David says that once Corey turned 18, "if we would have put him in an inpatient program, he would have just left. There's nothing to stop him." Months before he went to EWU, while he was taking courses at Everett Community College, Corey's parents told him to get clean or they'd kick him out of the house. They followed through. He stayed on couches or slept in his car before he was allowed back home after he got clean. Corey was eager to leave Everett — leave the drugs — and restart his life. Someday, he wanted to take over the family business, an Everett-based drive-shaft repair company. He left for EWU, joined a fraternity, and his parents heard he was doing well there. The last time they both saw Corey in person, visiting Cheney for a weekend a few weeks before Thanksgiving, they thought he was turning his life around. "He was doing so great at the fraternity," Cathi says. "He really felt like he belonged and loved that fraternity." Brendan Hargrave, EWU chapter president of the Beta Theta Pi fraternity, says Corey kept his history with drug addiction hidden from them. Around the time Corey joined the frat last fall, another student was kicked out for using drugs. "I think he was afraid he would get in trouble," Hargrave says. Hargrave says that Corey's death has caused the fraternity to rethink its zero tolerance policy. He says the frat worries that it pushes away those who are struggling with drugs or other behavior, forcing them to hide their problems and keep secrets. Colleges do not allow drugs on campus, but many discipline students for using drugs on a case-by-case basis. Adam Jussel, Washington State University's assistant dean of students, says that students are typically given an educational course if they've violated the student conduct code on drugs or alcohol. At EWU, according to its policy on drug and alcohol abuse prevention, "students are responsible for resolving their own alcohol or drug abuse problems," and if a person self-reports such a problem, the university will make "reasonable efforts" to assist them. EWU spokesman Dave Meany says that campus police "try everything they can to help a student succeed and not go down the wrong path, get in trouble and kicked out of college." But having said that, no drugs are allowed on campus. Colleges do have resources for students struggling with drug or alcohol addiction. EWU students can get help through the school's health, wellness and prevention services office. WSU students can go the counseling and psychological services office and be referred to either inpatient or outpatient treatment. Gonzaga, in addition to counseling services, has a program called Our Unique Recovery House, designed as a safe place for students to get together and discuss their struggles with substance abuse. Many students, however, are either reticent to seek help or unaware help is available. EWU student Kyle Dodson says the only reason he knows about the school's resources is because of his position as student government president. Even if they do know about them, a greater challenge for drug addicts is that, psychologically, they are worried they'll be judged or lose their community of friends and family, says Daybreak Youth Services Executive Director Annette Klinefelter. Yet schools, without permitting drug use on campus, can still help address this problem by increasing awareness and adopting policies that encourage kids to seek treatment, she says. "If kids are afraid of getting in trouble or going to jail, and that is a barrier to them seeking treatment," Klinefelter says, "then that policy needs to be reconsidered." 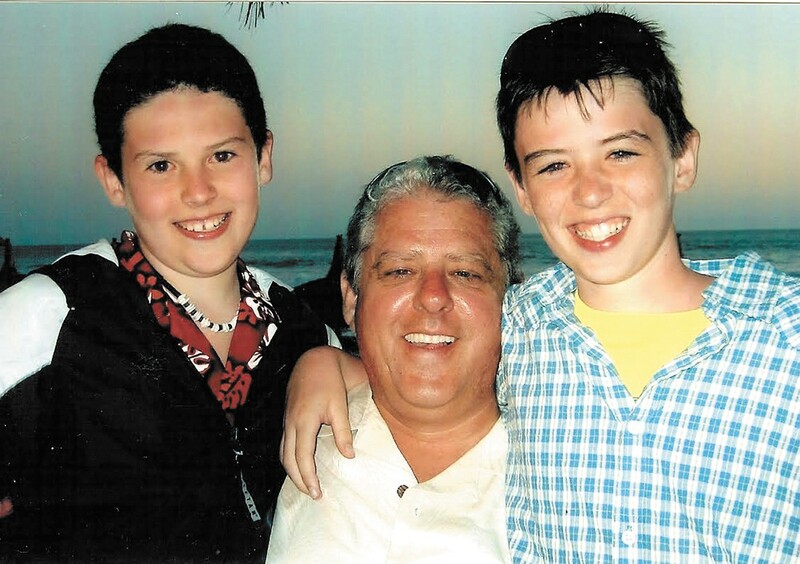 David Lee (center) sent his son Corey (right) to multiple drug treatment programs. Corey's parents usually could tell when he was using drugs. He'd get moody. He'd isolate himself. He wouldn't keep promises. But if you had met Corey on the street, his father says you would have thought he was intelligent, bright and good-looking. "He was not the one that everyone would have thought," Cathi says. In college, friends outside of the fraternity knew Corey used drugs recreationally, says Michael Nelson, who lived in a dorm right next to Corey in Brewster Hall. Nelson says he knew Corey would drink, or maybe smoke pot. Sometimes he heard Corey talk about cocaine, but Corey kept his use of prescription drugs and his history with addiction a secret. Recognizing that Corey had a real addiction, that it was more than living the college experience, would have been difficult for people who had known him for just a couple of months. Even if Corey's friends had realized what was going on, Nelson says there was nothing the college could have done to help. "Unless someone really said, basically, 'We're going to make sure you don't leave this room,' he wouldn't reach out and do it himself," Nelson says. The night before Corey was found unconscious, Nelson says Corey kept leaving his room and coming back. Nelson thinks he was going to his drug dealer's house. He wasn't sure exactly which drugs Corey was on, but he knew acid was one of them. He says he warned Corey. "He would just keep saying, 'Dude, I've done this before. I've done this plenty of times. Like, don't worry," Nelson says. The next morning, Nov. 25, Nelson was supposed to drive Corey back to Everett for Thanksgiving. He called Corey and asked if he was ready to go. Corey said he'd be ready soon. About 45 minutes later, Nelson called again. No answer. He called again, and again, then knocked on the door. Still no response. He threatened to leave without him. "I was like, 'I don't want to leave you, because I know how much your parents want to see you for Thanksgiving. But my parents want to see me, too,'" Nelson says. Still no answer. Nelson left. Another student found Corey unconscious around 4:30 pm. "He was literally supposed to be sitting next to me," Nelson says. "We should have been in Ellensburg by the time that this all happened." David and Cathi had to clean out their son's dorm room when he died, after police had already gone through it. Corey's parents found no pill bottles. There were no drugs, no pipes, nothing that indicated their son had an addiction that would ultimately claim his life. Corey's parents took everything left — his clothes, his Boy Scout badges, his basketball shoes, a Michael Jordan poster — and brought it back home. Today, it's all boxed up at home in Corey's old bedroom. His parents haven't gone through any of it. The clothes still smell like him.